With your choice of Japanese favorites such as seafood, chicken, steak and vegetables artfully grilled and served on an iron plate, our phenomenal tableside cooking at Ron of Japan is truly an experience worth sharing. For an evening you’ll never forget – whether you’re celebrating a special occasion or you’re seeking a taste of something extravagant – you’re never alone. 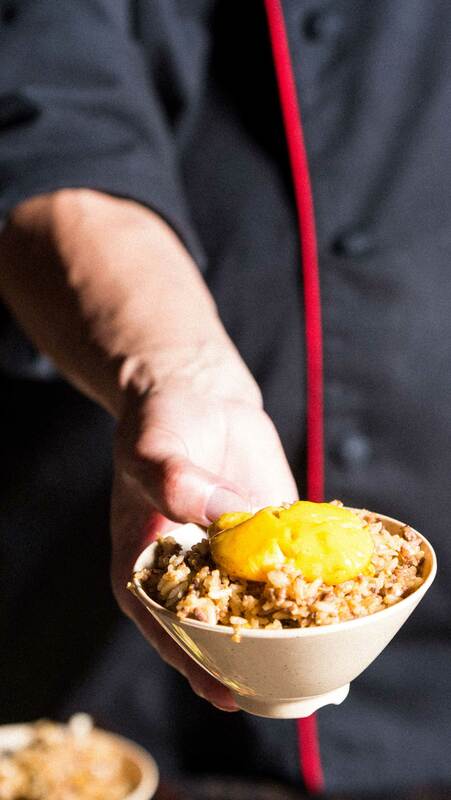 Join us at Ron of Japan for a unifying dining experience that emphasizes the Japanese tradition with a uniquely familiar sense of friendship and flavor. Ron of Japan is distinguished by our highly trained chefs who put their culinary eccentricities on display while they blend their classic cooking technique into our bold flavors – giving you a delicious teppan-grilled specialty. 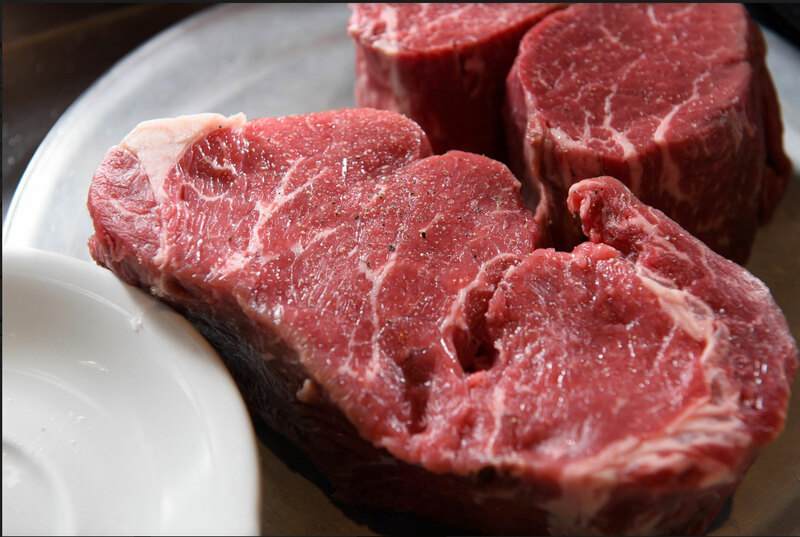 Quite simply, Teppanyaki translates literally to “grilling on an iron plate.” In traditional Japanese cuisine, Teppanyaki style cooking is used for meats such as steak and seafood, as well as vegetables and rice. Teppanyaki is most often confused with Hibachi grilling. Hibachi, however, utilizes an open-grate grill, whereas teppanyaki uses a flat, solid, griddle-style cooking surface. This makes Teppanyaki suitable for cooking smaller and more finely chopped ingredients, including rice, onions, carrots and mushrooms. Teppanyaki cooking was first introduced to the United States shortly after World War II, and the concept of the “Japanese Steakhouse” quickly gained popularity. 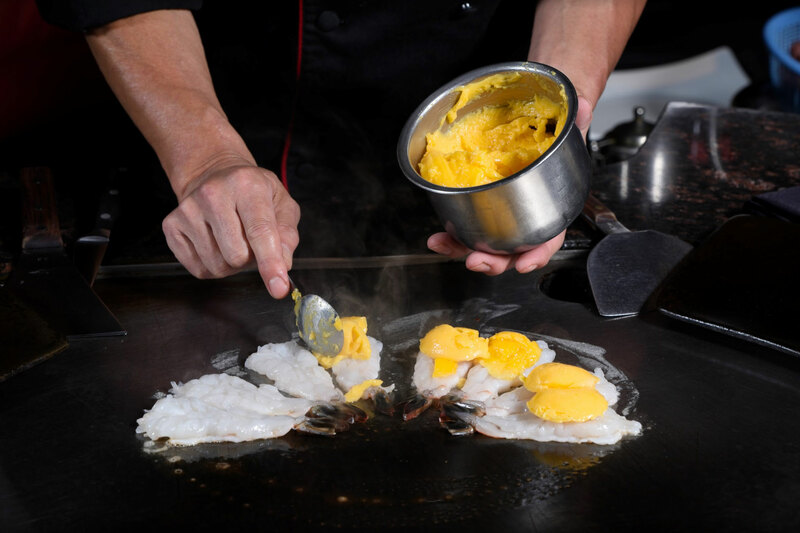 Diners enjoy Teppanyaki cooking not only for the fresh, flavorful Japanese ingredients, but also for the performance artistry of the teppanyaki chef who masterfully chops and dices the food, then sets the entire grill aflame in the blink of an eye. We welcome our guests to enjoy a culinary experience like no other. With a taste of authentic Japanese flavor, culture and hospitality, Ron of Japan is a feast for the eyes as much as it is for the belly. Using the freshest, highest quality steak and seafood, Ron of Japan Chefs delight our guests with exquisite recipes grilled right before their eyes. 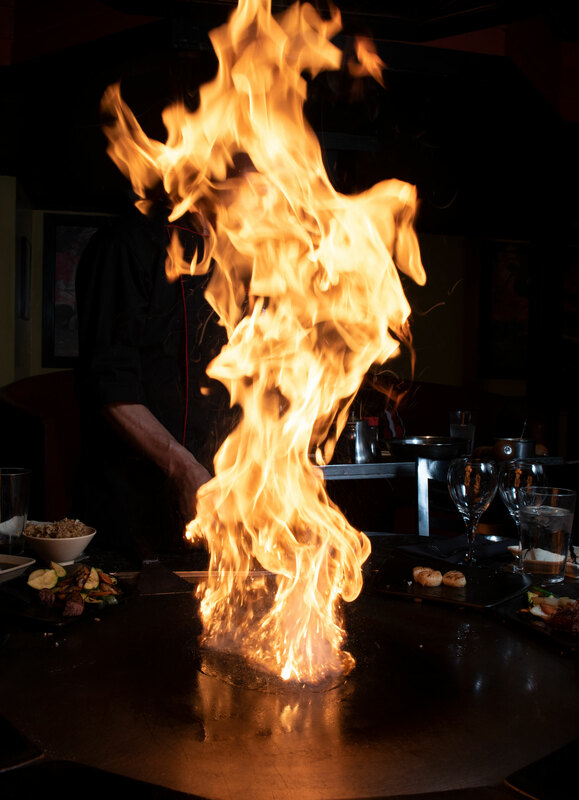 Dinner guests will enjoy the enthralling techniques of our chefs as they artfully prepare the finest Japanese teppan-style dishes with colorful, flavorful ingredients that promise to delight the eye as well as the palate. Join us and experience Ron of Japan by visiting one of our two Restaurant Locations in Chicago and Northbrook, IL. We have been going here for years. Moved away and drove 4 hours to come back to celebrate my daughters birthday. We ordered the Shoguns. Best lobster ever! Chef was fantastic, food was excellent, as usual. Our only complaint was that the music was quite loud. Can't wait to go back. Ron of Japan is one of our favorite places to dine, always happy with the service and food. We have become regulars, and appreciate how the staff now recognizes us. We love watching the food being prepared, and are happy to bring whatever we can't finish home for tomorrow's lunch. Although we typically get a private table during off-hours, we have met some fantastic fellow diners over the years. Highly recommended! We love the Ron of Japan restaurants. This was our first time in Northbrook and the decor was exceptional. We love the food, be sure to ask for the egg yolk sauce on seafood! Will be back again soon. Ron of Japan's was amazing like it has been for the past 35+ years I have been coming here. The egg sauce is life changing and incredibly rich. The shrimp are unlike anything I've ever had in my life and I always have to have at least 4 every time I come in. Shrouded in living history and still thriving with cultural spirit, Ron of Japan offers a piece of Japanese tradition that no other private party space can match. A casual and elegantly decorated room is highlighted by the heritage of Japan and is punctuated by the culinary experience that’s perfectly tailored for a group. A contemporary convergence of familiar style with timeless Japanese artwork make the private party room at Ron of Japan a uniquely charming event and party experience. Ron of Japan is renowned for a celebrated menu featuring Teppanyaki style steak and seafood, and is proud to open its doors to corporate dinners, cocktail parties, personal celebrations, engagement parties, wedding showers, baby showers and fundraisers. 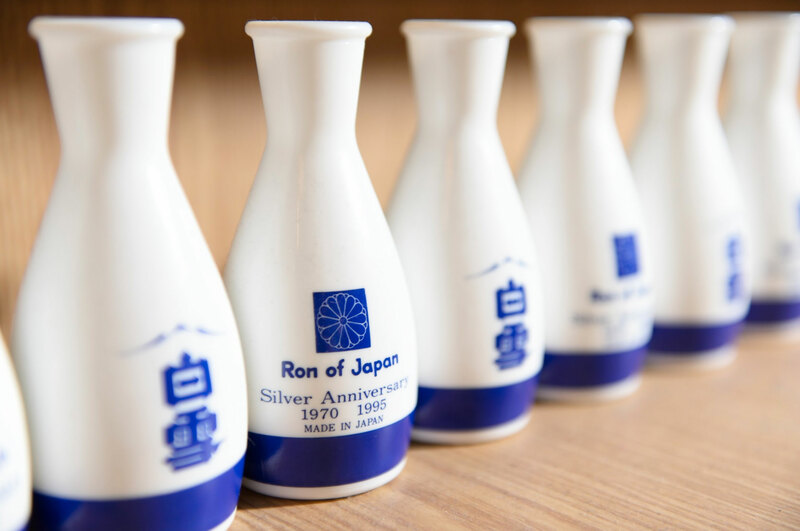 Ron of Japan strives to provide exceptional service with attention to detail and custom tailored planning. Party packages can be custom designed. All food and beverage prices are guaranteed from the date of a signed agreement. You’ll save money hosting your party at Ron of Japan because there is no need for centerpieces when the preparation of your meal is the center of attention. Substitutions for certain items may be necessary due to product availability.